Single Player play the main story and your best times are stored online. 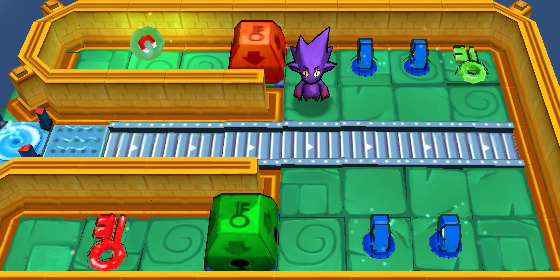 Race a multi-player mode where you see who can finish first. Create an editing tool to build your own levels & share them. Weekly Puzzle each week a single player puzzle can be downloaded. 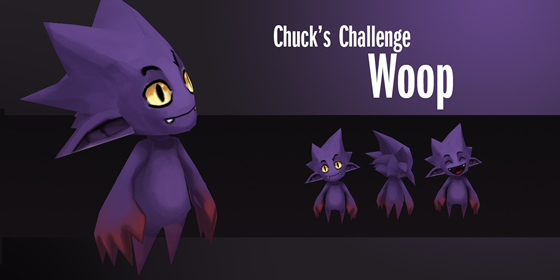 Chuck who Woop has 'summoned' to create games for him to play. Woop a being that can alter time and space who likes to play games. Woop's Pets that he's collected from various planets. Woop coming in to shape when he was first modelled in 3D. 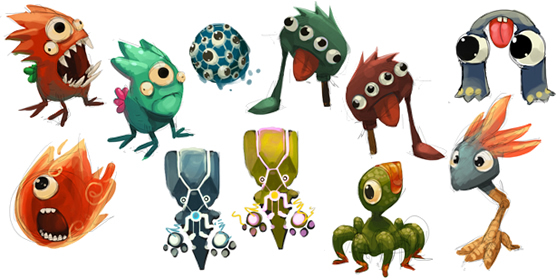 Early concept art of Woop's Pets which all have now been rendered in 3D.